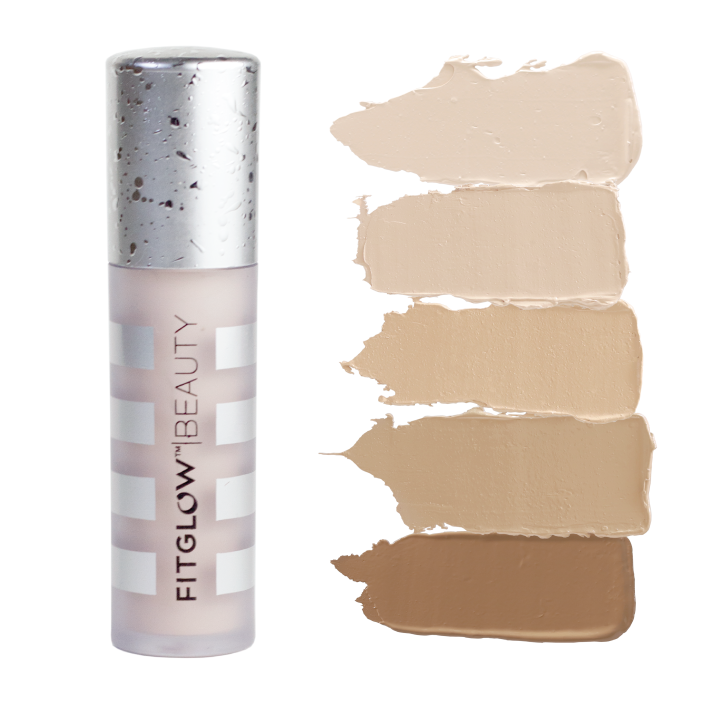 More than an ordinary concealer, Conceal + by Fitglow visibly improves the skin while covering imperfections. Castor and jojoba oils are used to provide light moisturization that makes skin feel balanced and comfortable, and allows concealer to easily blend onto skin. Grape improves the look of fine lines and licorice brightens, evens, and smooths the appearance. Ideal for covering blemishes, dark spots, and evening pigmentation, this green beauty treatment concealer makes skin look revitalized and healthy. Use for a look of perfectly refined skin. Pat concealer onto skin and blend with fingertips or beauty sponge. Use on acne, dark circles, discoloration, redness, or uneven skin tone. The creamy formula is easy to apply and blend.
" Ricinus Communis (Castor) Seed Oil *, Cera Alba (Beeswax)* , Vitis Vinifera (Grape) Seed Oil*, Lauryl Laurate, Simmondsia Chinensis (Jojoba) Seed Oil*, Copernicia Cerifera (Carnauba) Wax, Phytoelastin Pf (Plant Elastin), Water, Phospholipids & Phytonadione (Vitamin K Liposome ) , Leuconostoc/Radish Root Ferment Filtrate, Caffeine, Camellia Sinensis Leaf Extract (Green Tea Extract ) *, Glycyrrhiza Glabra Root Extract (Licorice Root) * May Contain: Titanium Dioxide, Yellow Iron Oxide, Red Iron Oxide, Black Iron Oxide, Ultramarine Violet, Chromium Oxide Green, Manganese Violet. * Certified Organic Ingredients. " This goes on like putty. Very very thick and shows every pore and flaw. Still trying to figure it out but I probably won't buy again. Sad because I was super excited and hopeful for this product. One of my favorite concealers. This concealer does it all for me. Using different shades, I can highlight, conceal and contour in a pinch (plus so travel friendly). I even use it in place of foundation. I experience almost no creasing (both when I set or don't), it has great wear time and does not oxidize. To blend it out I prefer to use a damp beauty sponge but have also used fingers and brushes (either a fluffy concealer brush or a flat top foundation brush). The main downfall here is the extremely limited shade range. While I'm lucky to be able to use a shade close to my skin tone, many people are not. I would love to see not only additional shades but also more undertones (cool, neutral, olive, warm etc) for each color depth. I want to share this product with family and friends but cannot due to the noninclusive shade situation happening. I got this concealer along with the RMS "Uncover" which has numerous glorious reviews on many sites. 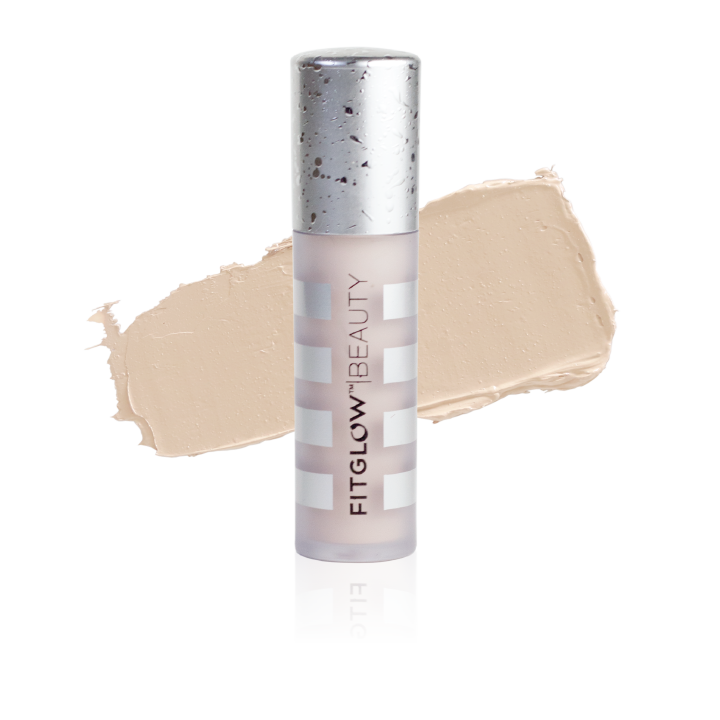 After trying both, I honestly like the fitglow concealer better. This one blended better and looks more natural. Maybe I need to wear them both for an extended period of time to see which one fits me better but first impression definitely gives this product a solid 5 stars! I bought the Fitglow concealor in C3 after seeing some online swatches and reading that the shades ran a bit lighter than the foundation shades (For shade matching reference I can wear Fitglow foundation in shade VF2, Vapour foundation in shade 123, Gressa shade 3). 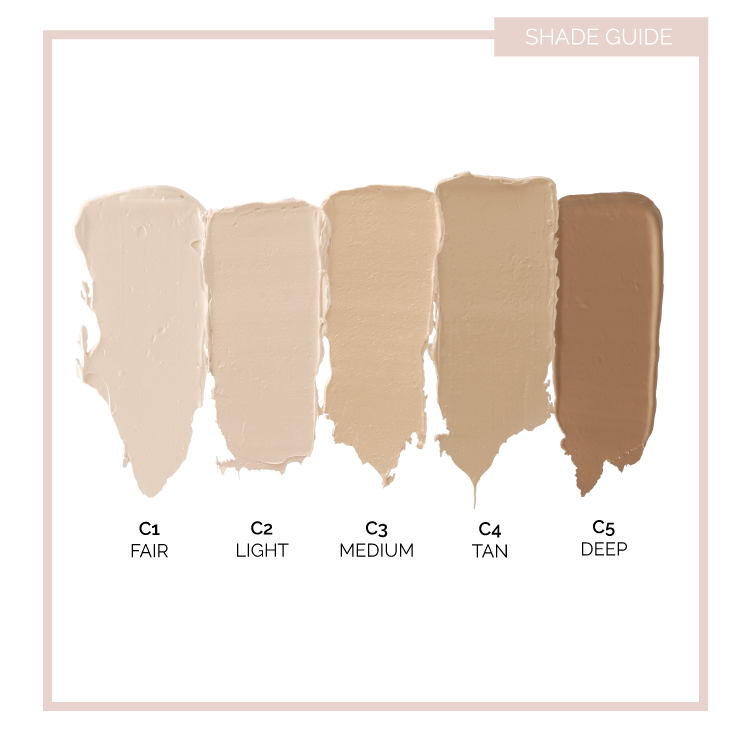 C3 is an okay match for me but a bit lighter and more cool toned than my olive light medium skin tone. The consistency is a little thick but spreads easily with your fingers (I think a brush eats up too much of the product and the warmth of your finger helps distribute the product easily). I like this concealor for my oily but dehydrated skin and it covers my undereye circles and pigmentation well. 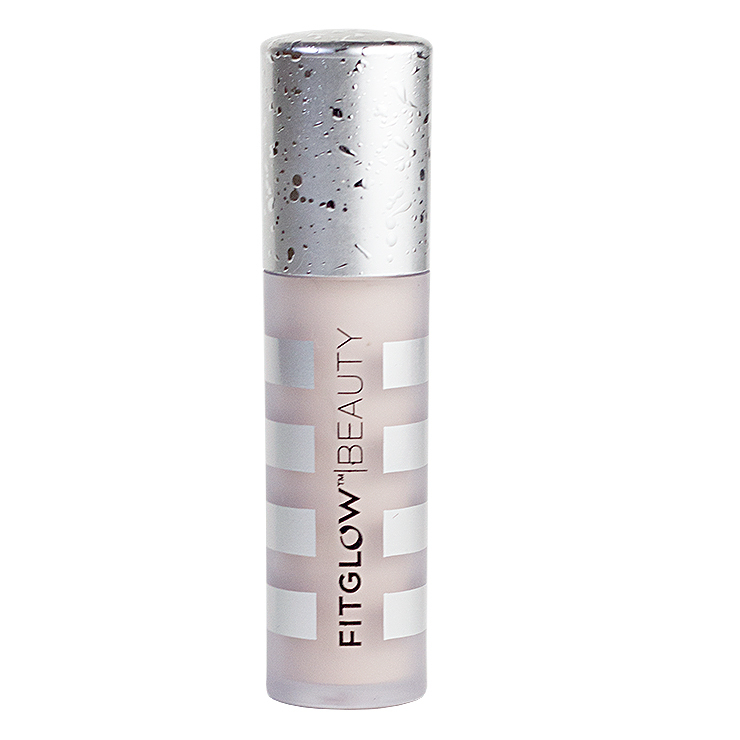 It has a dewy finish and sometimes I set it with the Fitglow powder. It does not oxidise on me even in the humid climate I live in and with my oily skin. The dewy consistency makes it very forgiving on your undereyes, but it can move if you do not set it. I really like this concealor and although it is pricy I would buy it again. I find the texture is so much more forgiving than the Fitglow foundation, which on me sticks to dehydrated patches with a vengeance if I have the slightest bit of dryness. I have acne-prone skin and I do not think this breaks me out. I hope they expand the shade range in the future and I would go with a shade that is slightly warmer.